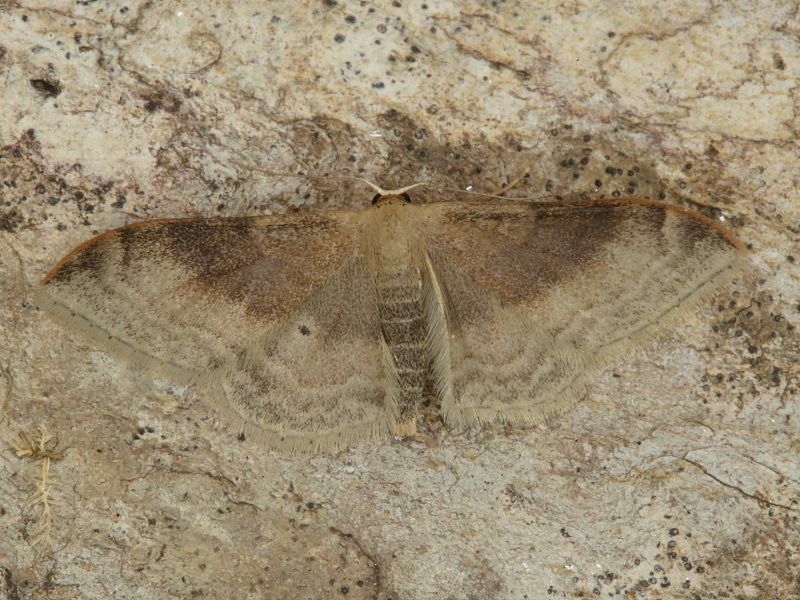 The 2012 records of this scarce migrant moth to the British Isles seem to confirm that it is resident in Cornwall. The highlight of our first full years recording moths at a site in Falmouth may have been Cornwall’s first Sombre Brocade but the confirmation that there is a population of Portland Ribbon Waves is probably of more national significance. In September 2011 six were recorded and this species has again been attracted to light this September despite minimal trapping and poor conditions. Earlier in the year the first spring recording at this site also produced two Portland Ribbon Waves in May which suggests that here in Cornwall the milder weather and longer breeding season enable this species to have two generations. Other than a resident population at Portland on the south coast there seem to be no other areas in the British Isles where records suggest this species is presently resident. It is annually recorded in small numbers along the south coast but these are considered to be migrants. However, the numbers of Portland Ribbon Waves and the recording of two generations at this one site in Falmouth, at times of poor migratory conditions and few records elsewhere in the country, strongly suggest another resident colony. To find the larvae would be conclusive of its resident status but a ‘caterpillar hunt’ would be a daunting task given that the food plant in the British Isles has yet to be determined! 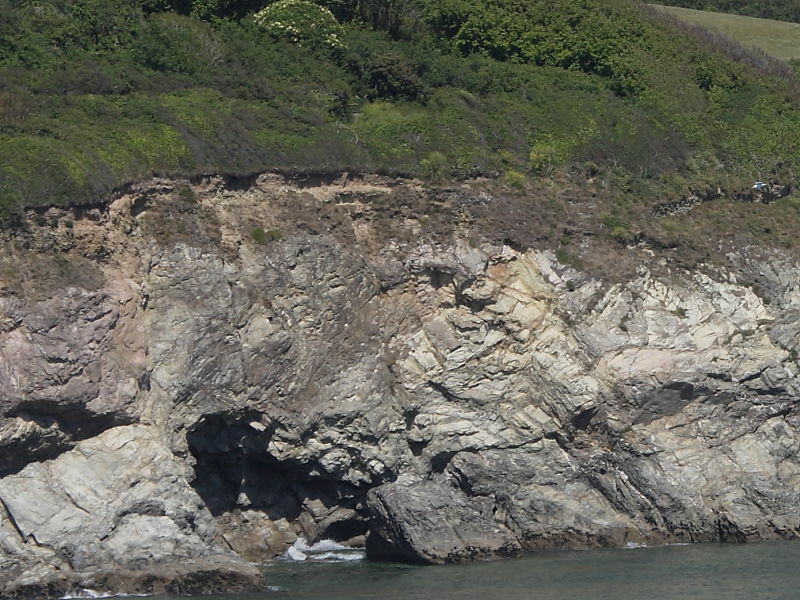 The species is recorded as favouring open grassy and bushy areas, including coastal limestone and under cliff hollows which experience hot micro climates. 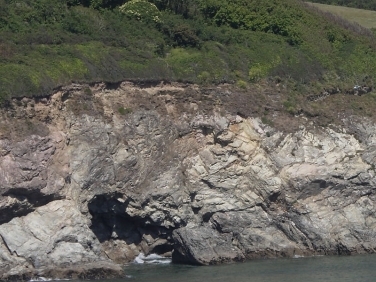 Located close to cliffs this Cornish site seems to share some of these features. In captivity the caterpillars have been reared on knotgrass, dandelion and dock which are all species of plants found in this area. As an identification guide the Portland Ribbon Wave recorded at this Cornish site have all clearly shown the darker colour upper band although variable in its intensity. This species doesn’t have the wide variation in markings of the superficially similar and very common Riband Wave (Idaea aversata). 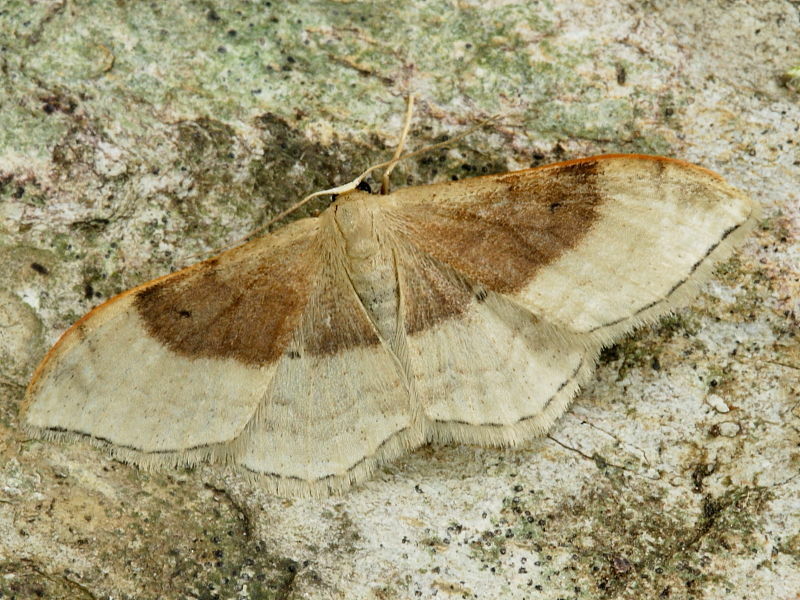 In its most similar banded form the Riband Wave has a dark band that is both lower on the wings and narrower than that of the Portland Ribbon Wave. 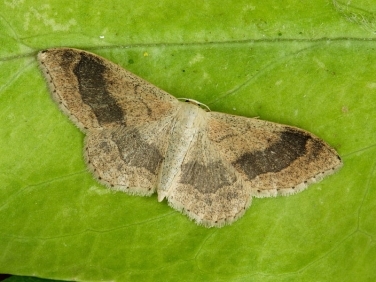 In recent years, despite reduced recording, other species of national importance have been recorded in this area including The Jersey Mocha, (Cyclophora ruficiliaria) Further surveying is required to establish whether this species is either established in the area or records are of adventives from a site a few miles away, believed to be the only breeding site in the UK. “Field Guide to the Moths of Great Britain and Ireland” by Paul Waring and Peter Townsend, illustrated by Richard Lewington. 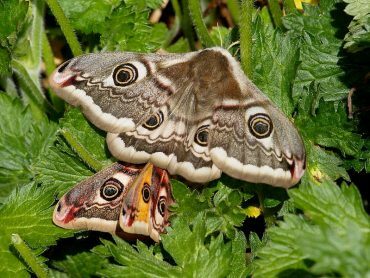 “Colour Identification Guide to Caterpillars of the British Isles” by Jim Porter.